Fanes is located on the west coast road of Rhodes, just west of Soroni at a distance of about 30 km from Rhodes town. It offers a long calm sandy beach with shade from tamarix trees. There are a couple of good taverns on the beach where you can taste local recipes. 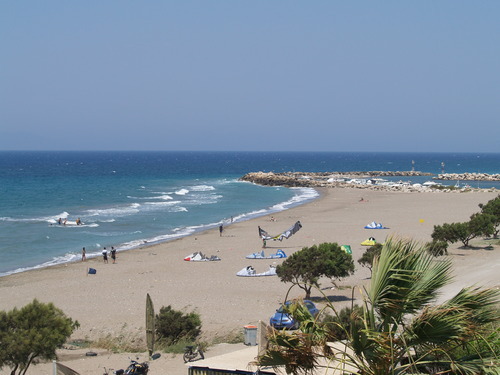 Windsurfing and kitesurfing are hugely popular here, given the wide flat sands and the northerly exposure.